A couple of years ago I had a no-contract cell phone and before then I had a pre-paid cell phone. I got rid of those in 2005. They were simply too expensive. Ever since then I’ve been using Skype, Gizmo or just using the house land-line to make telephone calls. I’ve recently started getting more calls on my SkypeIn number because that’s what I give to friends, clients, recruiters and potential employers. Lately though, I have not been able to get to the computer quick enough to answer Skype. The problem is I have to go to the computer, sometimes login (usually locked when I am away), un-mute the microphone in Windows volume control, un-mute the microphone on the headset cable, put the headset on and answer the call. Heaven forbid if I’ve been using a piece of software that change’s my Skype input/output devices because if that’s the case I have to change those, too! So you see the problem! I needed to get something that I could answer very quickly. For a while I had been wanting to get a WiFi phone for Skype. The problem is that they were still really expensive. Most of them were between $150-200. I didn’t want to spend that much. I thought about getting one of the cordless dual-mode phones but the ones that were actually affordable required you to connect them to your computer. There are models that do not require you to connect them to your computer but they cost more than the WiFi phones. The problem for me is, if I’m still in bed and a potential employer calls I wouldn’t know it because I have been turning the computer off during the night because it’s really loud and of course, I’m in sleep land. Also, the idea solution was to get something that I could take with me if I were to go on a trip, interview, vacation (ha, ha, whatever) or somewhere that was out of the area and possibly had a WiFi Internet connection. 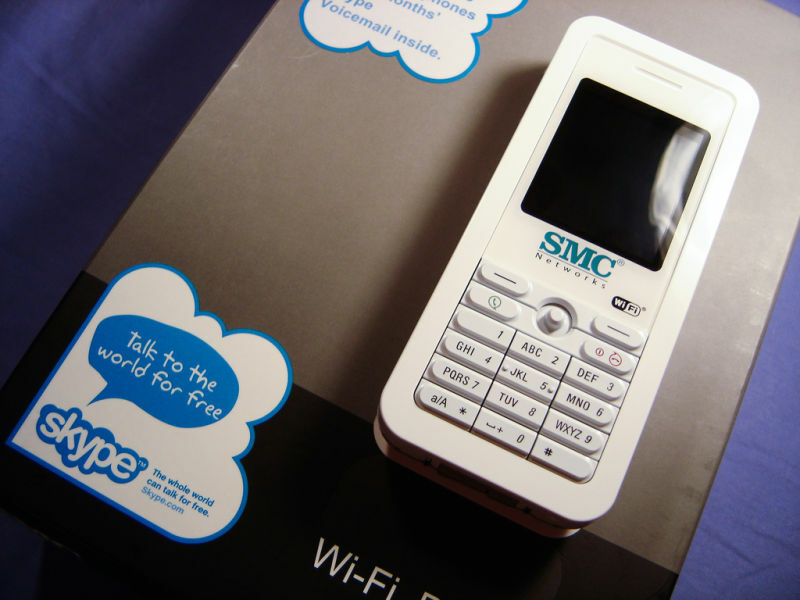 I got onto Skype’s website a couple of weeks ago and saw the SMC WiFi Phone for Skype for $99 which I thought was a great deal. Everywhere else has the exact same model for between $130-170. The Belkin model (which is exactly the same as the SMC model other than the color and branding, in my opinion) was more expensive. I pondered on purchasing the SMC model for about an hour and I went ahead and purchased it. I have been using the phone for a week now and although I have already wrote in length about why I purchased the phone, I have a lot more to say about the phone (features, likes, dislikes, etc). The phone was shipped quickly and arrived in packaging that reminds me of typical cell phone packaging. The box contained the SMC Skype WiFi Phone, earphone, power adapter, USB cable, battery and a CD containing the user manual (nothing else is on the CD), printed user manuals (in 3 languages). In the box there is also a gift of 120 SkypeOut minutes and 3 month’s free voicemail. I was pleased with this because with my SkypeIn number I get free voicemail. With the card I was able to extend my voicemail for 3 additional months and I had just extended it a few days prior to receiving the phone. So I won’t have to do that for 6 months which is very nice. Of course I also got the 120 SkypeOut minutes but for me I do not worry much with those as I paid for the entire year of Skype Unlimited. Regardless, it’s still very nice. Before turning the phone on and setting it up it says to charge it for 8 full hours which is fairly a standard suggestion on almost all electronics. After the phone had been on charge for 3 hours it said that it was charged. I decided to keep my anxious fingers away from the phone for a few more hours and let it continue to charge for the full 8 hours even though it said it was charged. I’m not sure if the battery was charged partially from the factory or if there is a bug with the phone. More than likely it was charged partially from the factory. Once the phone was charged setting it up was very easy although it did take me a couple of tries getting my password in. It took me a couple of minutes to figure out how to input upper case letters. The phone joined my wireless network without any issues and once I got the username and password into the phone it logged onto Skype without any issues. The phone said that it was downloading contacts for quite a long time. I turned the phone off after 30 minutes, turned it back on and my contacts were there. Other than getting my contacts to appear, set up was very simple. The biggest complaint about the phone that I have is how it handles voicemails. The Skype website states: “Voicemail Support: With the purchase of Skype Voicemail, the SMC WiFi Phone will record a short voice message from the caller when your are away.” I assumed that the phone would work much like the Skype software. I assumed that if I did not answer the phone after a few rings the phone would send the caller to voicemail. Unfortunately, this is not the case. In my tests and when others have called me at no time does the call ever go to voicemail. If you let it ring long enough you will get a busy signal but no voicemail. Although the phone interface is very easy to use, the actual buttons on the phone are very annoying. I find myself having to press the buttons harder than I should at times to make them work. Sometimes it seems as though there is a delay from the time you press the button until the action you desired happens. The phone supposedly has the ability to update itself over WiFi. I have not been able to test this because the update that I installed when I got the phone enabled the feature and there have been no updates since I installed the latest firmware. When you first get this phone you will definitely want to update it. The phone I received had year old firmware installed. Unfortunately, if you do need to update the software you can only update it on Microsoft Windows with the included USB cable. I find this amusing considering the fact that the phone is running on an embedded Linux distribution. The time on this phone is always incorrect. Every single time I go into the time settings and change them it will always go back one hour. No matter how many times I have updated the time on this phone it always goes back one hour. Speaking of time, whenever you hold the phone up to your ear you can hear a ticking sound. It sounds exactly like a ticking watch (and no, I do not wear a wristwatch!). When you are holding the phone up to your ear, ticking is not the only noise you hear. If you are not in a call you can hear the phone making a continuous electronic noise. If you are listening to your voice messages and you have the phone to your ear you can hear the phone downloading each message one piece at a time onto the phone’s internal memory card. I have made many calls to the Skype Lady (echo123) and whenever she starts speaking it’s really loud, then really quiet. Then when the bells dings for you to start or stop speaking they are really loud and can really hurt your ears. When I have made SkypeOut and calls to other Skype users it is really difficult to hear sometimes what the person is saying unless you hold the phone really close to your ear. Forget using the included earphone, it’s even worse. The phone is awkward to hold. I really hate the back of the phone because when your run your fingers across it’s surface it sounds like sandpaper. Fortunately, it doesn’t feel like sandpaper! I wish the entire phone was as smooth as the front. I know this is not the most important aspect of the phone but I am really pleased that it is running on a Linux distribution. I love Linux devices and love to see more and more products putting it to use. I like the fact that this phone is upgradeable. I think that is extremely important in almost any device you purchase these days. I only hope that SMC will kick out some updates to make this phone even better. I also love the fact that no PC is required in any aspect of setting up or using this phone (other than the initial update that I made). 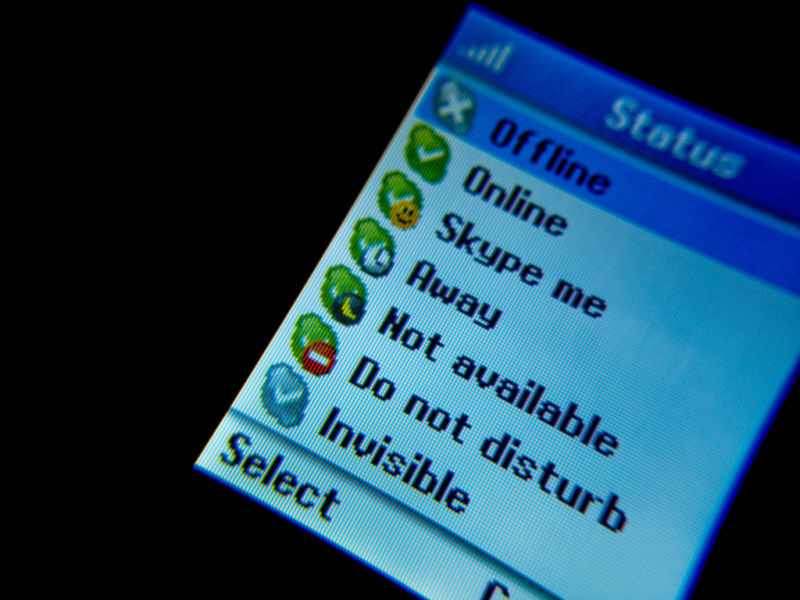 If I am to go on a vacation (unlikely) it will nice to be able to stay in touch using Skype. Although the phone has it’s flaws I think the phone is a really great idea, especially for someone like me. My computer is really terrible at running Skype while it is running other applications. I normally have to close Skype if I am using Lightroom or Photoshop. For that alone it is worth it. It’s nice to be able to have a standalone device to be able to use as my phone. It’s also a great concept for people who travel and need to stay in touch with their family, friends, etc. Skype is free for users calling each other and extremely affordable for calling out of the Skype network. When I am able to move into my own place I do plan on using Skype as my land-line alternative. I do plan on having something for emergency calls, though. Don’t forget that you cannot make emergency calls with this phone. With all the above said I have hard time trying to decide whether I should keep the phone or smash it to pieces. The phone is useful to me in the fact that it does the primary task that I needed it for, that is to be able to answer it quickly when someone calls. However, the fact that it is very hard to hear, the people on the other end have a hard time hearing me and the problem with voice mail really makes me consider sending the phone back. I don’t want to send the phone back because I really love the concept. Regardless, I feel as though I paid for a device that in my opinion does not live up to my expectations. Article update: Thursday, September 11, 2008: I meant to update this article a long time ago but forgot to. I did send the phone back and received a refund. 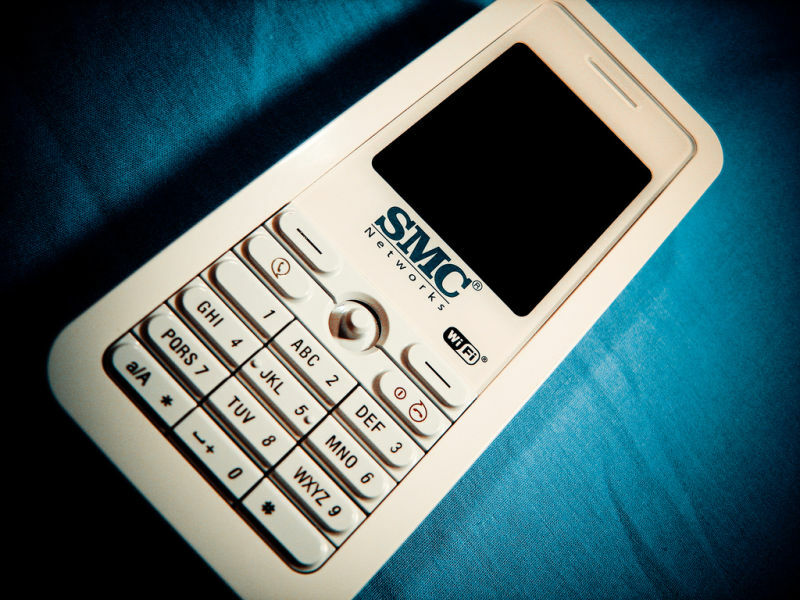 To my knowledge SMC has not updated the phone’s hardware. Skype has also jacked up the price of this phone from $99 when I bought it to $149. I would definitely stay away from this phone. It’s been almost a year now and I’m still bitter about this phone. I had such high hopes for it. Oh well, at least I got my money back.